One of the first things that come to our minds when we talk of kitchen equipment is the mixer grinder. It is a useful tool that runs on electricity. It is used to grind, paste and mix ingredients in an efficient manner. It is an equipment that helps to save both time and energy. It is especially useful for modern day living where people have to cater to both domestic and workspace. People have very less time to spare for cooking and its related preparations. Just imagine how much time it would consume to peel and grind or paste various items. Thus, we can think of the mixer grinder as a time-saving device. Moreover, it is also very, and it gives excellent results. We can make pastes with different and uniform consistencies that may not be possible while doing the job manually. Whenever you decide to buy mixer grinder, you must check certain features to ensure that you buy the best mixer grinder available in the market. There are various brands and varieties of mixer grinders. 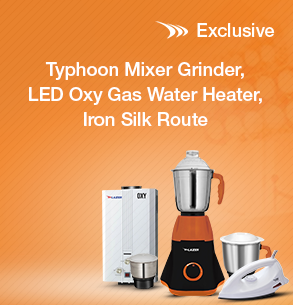 Try to choose reputable brands like Genius Mixer Grinder that offer excellent service and long service life. Users do not have to worry about frequent servicing and repair in case of renowned mixer grinders. You also need to check whether the mixer grinder performs all the necessary functions of mixing, grinding, blending, etc. Some products only perform one or two of the functions. It is advisable to purchase a mixer grinder that is multipurpose as it will be a one-time investment that can have various use.